Urethane Floor coatings are very different from the polyurethane paints. None quite as different than the Cementitious Urethane Slurry, AKA Urethane Cement or Urethane Concrete. 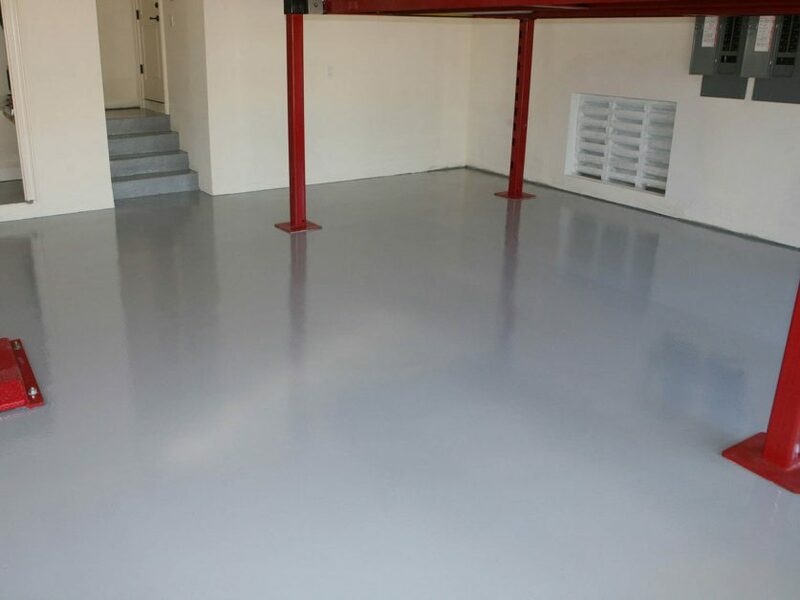 A Urethane cement floor has many benefits over other floor systems, It is a 3 part urethane resin with Portland cement and some other binders added to create a thick slurry which bonds to the existing concrete floor both mechanically and chemically creating and insane bond that is almost impossible to break. To make it even better the properties of polyurethane make it UV resistant, slightly flexible and temperature stabile, meaning it will hold up to thermal shock (ie daily steam cleaning) as well as heavy things being dropped onto it. As if that’s not enough since its partially made of Portland cement it will bond to damp or new concrete… after 7 days of curing instead of the normal 30 days of cure time required for epoxy floor coatings. There is one drawback… The price! Urethane cement floors are not “cheap” 2018 pricing typically ranges from $12 – $18 per square foot. But if the floor is going to take a beating and have daily thermal shock there is nothing better.